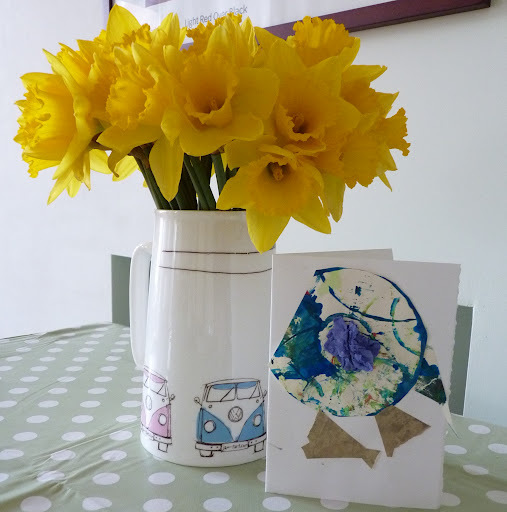 You just can’t beat a homemade card ……. or one that mummy helped with at Tots group!! The pieces were already there, Niblet picked the ones he wanted and had a go at glueing by himself too. You can’t beat daffodils for their sunny disposition and general day brightening potential, either. So, I haven’t posted for quite some time. I just don’t know where all the other fab bloggy mums get the time to have such fun with their kids, take pictures of it all and blog about it too. I never have my camera to hand when Niblet and I are doing things, never have time to make things because I’m always trying to keep Niblet occupied and I guess I spend too much time reading other fantastic blogs to have time to write my own!! Last weekend, we packed Niblet off to grandma’s for the night and took down the bars from his cot and turned it into… ‘big boy bed’. So this week we have had all the trials and tribulations that go with ‘big boy bed’. “Don’t like big boy bed, don’t want big boy bed” was a popular refrain on the first few days. Niblet had his afternoon nap on the landing on Monday. The sound of a little person falling out of bed in the night is still a regular occurence (there is a pillow & folded duvet for him to fall on), but we seem to be making progress. There was an upside to sending Niblet to grandma’s though, Hubbie & I went out. We went to the Royal Northern College of Music in Manchester to see Portico Quartet supported by the Matthew Halsall Trio. It was A-mazing, we’d not heard of Matt Halsall before but were blown away by the sound. Portico Quartet were brilliant too, although the fantastic, trademark ‘hang’ sound was missing or just overshadowed in places. This entry was posted in making, photo-taking and tagged mothers day, Niblet. Bookmark the permalink. That's exactly what I said on my blog!! 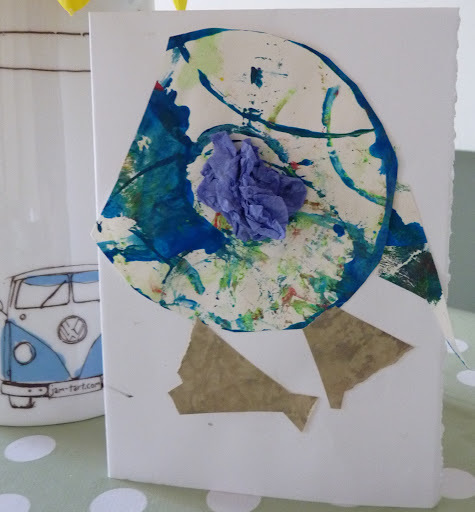 I just love keeping them all, shop bought cards aren't a patch on those made by the little ones.